Hi [INSERT YOUR FRIEND'S NAME HERE], Please check this out https://www.proactivehealthcare.co.uk/olivirex?referrer=0 and get £4 off your first order (minimum order £30 excl. shipping). Thanks! 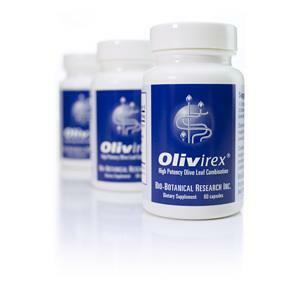 Olivirex is an innovative formulation combining standardized olive leaf extract with a synergistic blend of botanicals to enhance the broad-spectrum qualities of olive leaf, and support clearance of toxins. May be used in combination with Biocidin to address challenging clinical presentations. Often combined with Biocidin Throat Spray for seasonal wellness. Olive Leaf extract (organic, minimum 18-24% oleuropein content), 125 mg combination of the following: Garlic (plant), Goldenseal (root), Milk Thistle (seed), St. Johns Wort (plant), Uva Ursi (leaf), American Ginseng (root), Bladderwrack (plant), Cordyceps, Dandelion (root), Noni (dried fruit), White Willow (bark).